Clockwise, Above From Left: Photo: Courtesy of Disclosure, Drake, Grizzly Bear, Sohn. This week, we've got some great new tracks from industry faves as well as a selection of equally affecting songs by experimental up-and-comers. We start things off with an upbeat number from the always-great Disclosure, followed by an autumnal new track from Grizzly Bear. Then it's the James Blake x Drake collab you've been waiting for, the latest from Austrian producer SOHN, and a grimy new outing from rapper Jeremiah Jae. Good stuff! Now, Disclosure is just rubbing it in. After this year's amazing Settle, a massive world tour, and a Sound Stars feature here on Refinery29, the band could probably rest on its laurels (joking about that last one). Instead, "Apollo" is yet another 4x4 banger that could have easily made its way on to the band's LP. Grizzly Bear continues to drop B sides from last year's excellent Shields, and "Listen and Wait" is yet another beautiful non-album cut. With an elegiac tone that recalls some of the band's older work, it's another beautiful song from one of our favorite bands. "Come Thru (James Blake Remix)"
When we heard that James Blake was working with Drake, our minds raced with the possibilities — it seemed like a match made in bummed-out heaven. Now, we have Blake's take on "Come Thru," which, in the hands of the London producer, becomes more beautiful, more emotional, and more poignant in every way. Why this version didn't end up on the album is beyond us. 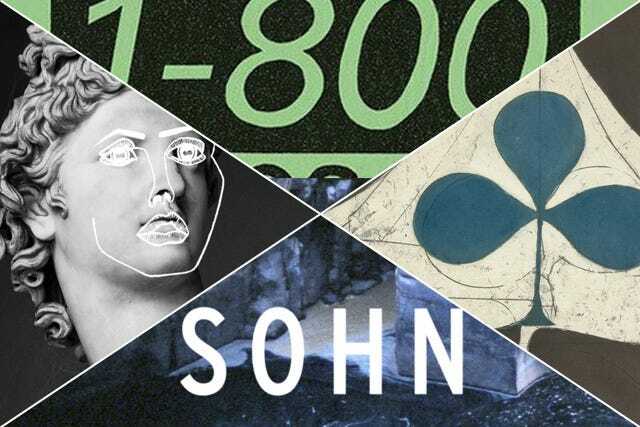 Recently, SOHN has gained prominence with some solid remixes for artists like Rhye and Angel Haze, and his solo work is no less stirring. "Lessons," whose new video just dropped, is an autumnal ballad that's one of the Viennese producer's best tracks to date. Brainfeeder signee and experimental rapper/producer Jeremiah Jae offers up some low-key rhymes and sinister beats with "Fun." Though the title is sort of a red herring, the track should please fans of Jae's left-field studio wizardry. Big house synths ramp up the club vibes in this new Katy B number. Though the English pop star hasn't broken out like peers Jessie Ware or Charli XCX, "I Like You" is further proof that we should start paying attention.